These are the most popular recipes this week. Click any title to view & share. Subscribe Today - receive the March/April issue next week. It is actually dried and ground young sassafras leaves, used by the Choctaw Indians. Filé means "to make threads" and that is what it does when added at the beginning of the cooking process. Often used to thicken Gumbo. It should not boil. A brisket is a cut of beef that contains a large amount of connective tissue that can be tough and chewy if not cooked well. Long and slow cooking works best for any recipe calling for beef brisket. Cilantro is the fresh leafy herb and coriander is the dried seeds of the plant. Dry Mustard Has Little Aroma? Due to an enzyme that is only activated when in contact with liquid, the pungent bite of mustard is fully released only when liquid is added to the dry mustard. Was produced in New Orleans in 1865.Before that ice was harvested and brought down from the Great Lakes and stored in underground ice houses insulated with straw or sawdust. Named after their shape. They are the dried flower buds from a tall tropical evergreen. Cloves should be used sparingly.Oil of clove is traditionally used to numb toothaches. This dried berry comes from a tropical evergreen tree. The wood from this tree is used to make walking sticks and traditionally was carved with totems and faces. This practice was carried over into New Orleans. Originated in New South Wales, Australia on the farm of Maria Ann Smith about 1860. To produce true descendents, apple trees are grown from a rooted branch. Every Granny Smith apple in the world can be traced back to those original trees. This number is the approximate number of shrimp in a pound. The smaller the number the larger the shrimp. So if you see a recipe calling for 20 count, or U-20, then you'll know they are somewhat small shrimp i.e. 20 shrimp makes a pound. Is the finely ground (powder) of the thin rust-colored veins that encase the nutmeg seed. This is an old Creole word (pronounced lah-nyahp) for something extra. The 13th oyster you get when you order a dozen is lagniappe. This familiar powder found in most groceries by now is a blend of several spices and dried chilies. Ancho chili powder is made from the dried Poblano chili. The powder is a deep purple to reddish black. Wondering What Condensed Milk Is? Tasso is a Cajun pork product and is a common addition in many Louisiana recipes. It is cured, smoked and then heavily coated with a spicy rub in which it is packed. 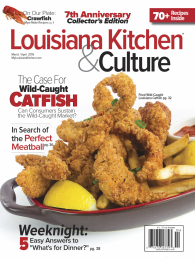 Can be found in most groceries in Louisiana as well as specialty stores and mail order. If you can't save it for another use then allow the oil to cool completely. Then nest 4 or 5 plastic bags from the grocery store. With someone to hold the bags open pour your used oil into the inner most bag. This is best done outside or over your sink. Tie the bags shut and throw in your garbage. Sour milk can often replace buttermilk in recipes. To make your own place 1 tablespoon lemon juice or vinegar in a measuring cup. Add enough milk to make 1 cup total liquid. Let it stand for at least 5 minutes before using. If you have more fresh herbs on hand than you can use, chop them up, divide evenly among cubes in an ice tray, cover with water, and freeze. Once frozen, turn them out into freezer boxes or bags, and take them out for use as needed. Make sure to label them. When making pasta sauces, gumbos, soups, or stews, double the recipe if the increased prep time is nominal. Freeze the second batch in freezer boxes or bags for later use; be sure to label and date. If you have extra herbs or garlic on hand, purée with a little olive or vegetable oil, divide among cubes in a freezer tray, and freeze. Once frozen, transfer to a freezer box or bag and use as needed. If you love the taste of fresh ginger but use it too infrequently to keep it on hand in the refrigerator, buy a good-sized root, peel it, and freeze it in a zip-lock bag. You can easily grate what you need on a microplane off the frozen root. Drain blanched vegetables into a strainer. Dunk the strainer into a bowl of ice water, swish it around to thoroughly cool the vegetables and stop the cooking process. Lift the strainer out, and voilá! You're done. No more digging individual pieces out of the icy water. To quickly seed cucumbers, zucchini, and squashes, slice in half and, run a small spoon or melon baller down the center to scoop out the seeds. For larger squash, use an ice cream scoop. If desired, to reduce okra slime, add 2 cups water, 2 teaspoons salt, and 2 tablespoons of white vinegar to a boil in a small saucepan over medium-high heat. Add okra; simmer 5 minutes. Strain well; reserve until needed. As you well know, potatoes quickly discolor when peeled and left on the cutting board. To counter this, have a bowl of water nearby and drop them in as soon as they're peeled. You can keep peeled spuds in the refrigerator in water for up to 8 hours before using. Depending on the size of your storage bag, grab a wide-mouth pint, quart, or gallon jar. Put the bag in the jar, and fold the top of the bag down like a collar over the mouth of the jar. The jar will hold the bag up and in place while you fill it. Leftover rice makes great rice cakes: just mix with beaten egg, add salt and pepper to taste and fry the rice cakes in a little butter. Strange but true: put your roll of plastic wrap in the refrigerator. When cold it clings and seals better and doesn't get all tangled up sticking to itself and nothing else. Give it a try. Thoroughly scrub the shells of mussels or clams. Place the mollusks in a big bowl with enough generously salted water to cover. Sprinkle in a tablespoon of cornmeal or flour and refrigerate for several hours or overnight. Rinse thoroughly before using. If you get distracted and overwhip your cream, don’t panic. Add a splash of fresh, unwhipped cream to the too-thick cream and fold it in with a rubber spatula. Repeat as needed until the mixture smoothes out. When you are done carving your turkey the first few pieces are likely to be cold. To serve all your guests hot turkey try just before bringing the turkey to the table, drizzling the slices with a little hot chicken broth to warm and moisten the meat. Don't over do it. This is a simple as it gets. Just place some chunks of fresh bread in the spice grinder and turn it on. In just a few seconds it will be cleans and ready to use. Invest in a few quart and half-gallon wide mouthed jars with lids, and use them to store flour, sugar, rice, and other dry goods. They're air-tight, plus the wide mouth accommodates up to a 1-cup measuring scoop. If your recipe calls for a exact weight of peeled, diced or sliced potatoes, buy the largest potatoes you can find. That way you'll have fewer potatoes to peel. Try using a really ripe avocado in place of low fat mayonnaise when making a creamy salad dressing, or use it in place of oil to make a creamy vinaigrette. One cup of avocado has about 400 calories, one cup of low fat mayonnaise has about 525 calories, one cup of olive oil has 1,910 calories. Native to Central Asia and China, buckwheat is neither a wheat or grain. It's a flower seed and a relative to rhubarb. It contains a compound that lowers blood glucose levels so good for diabetics. Kasha and Soba noodles contain buckwheat flour. A more familiar dish is buckwheat pancakes. After you shape your king cake, keep the center clear by placing a clean, greased 2-pound coffee can in the center. The dough will rise around it; carefully remove the can as soon as the king cake comes out of the oven. This is a Swiss cow's-milk cheese, named for the village where it is produced. It is a creamym seni-soft cheese. Emmentaler or Swiss cheese may be used as a substitute. If you find yourself in the unexpected situation of having leftover wine no one is going to drink, freeze it in ice cube trays, then store in the freezer in freezer bags. Drop a cube or two into soups and sauces for added flavor. When spraying cake pans, muffin tins, etc. with nonstick spray, place them on the open door of your dishwasher. That way, the excess spray washes away the next time you run the dishwasher and saves you having to swab the stuff off your countertops. How to get the scent of onions off your hands. Chopped onions are a staple in Louisiana cuisine; if you cook like we do, you'll chop a lot of them over your lifetime! To get the scent off your hands, rub coarse salt or white vinegar into your skin, rinse with cold water, then wash thoroughly with soap and water. An overflowing glass of champagne is always festive, but wasteful, particularly if you're pouring a good vintage. The trick is to prime the glass. Carefully pour enough in to fill the glass a quarter of the way full, wait for the bubbles to subside, then finish filling the glass. No overflow. To resconsititute dry mushrooms add boiling water to a bowl and soak the mushrooms for 20-30 minutes. The resulting broth is very flavorful and can be used in soup preparation or beef stew. Tightly wrap, label, and freeze overripe fruit (bananas, peaches, strawberries, etc.) and use it later in breakfast breads and muffins. You usually want really ripe fruit for those recipes anyway. To save time, wash big bunches of salad greens at once. Use what you need, thoroughly dry leftovers, and wrap in paper towels. Place the wrapped greens in a large plastic bag or storage container; refrigerate for several days. The paper towels will ensure the greens last longer. If you make a sauce that you need to keep warm while you finish cooking a dish, store it in a thermos or insulated beverage cup. Fill the container with hot water first, allow it to heat, empty, dry it out, and pour in your hot sauce. When is Fried Chicken Done? Lemons freeze easily. Place into your freezer singly and when frozen, combine in a plastic ziplock bag with other lemons. Pull out as needed. Sticky ingredients like honey and molasses take their time flowing out of a measuring cup and always require a spoon to scrape out the remainder. Try spraying the measuring cup with a nonstick cooking spray before filling it. The liquid will slip right out of the measuring cup. Is your meat thermometer accurate? You can easily check. Next time you bring water to boil, dip your meat thermometer in and let it register. It should be 212°F. If it's not you may be able to adjust it; check to see if there's a screw in front of the gauge housing. If so, use a pair of pliers to turn it and adjust up or down. Easily Slice any Food Into a "Fan"
We learned this from Kid Chef Eliana's Cajun PawPaw: Before frying your turkey, slide your fingers underneath the skin to loosen it from the body. That allows the hot fat to get underneath it and crisp it from both sides; it will come off the finished bird as crispy as potato chips. To reinvigorate previously frozen shrimp (almost all shrimp is frozen at harvest, shipped, thawed then sold), soak them for 20 minutes in salted water in the refrigerator (2 tablespoons salt to 1 quart cold water). Then drain, rinse, and pat dry with paper towels before proceeding with the recipe. To easily peel potatoes, boil with the skins on them immerse in cold water for 5 seconds. Then twist the potatoes between your hands and the skin will peel right off! Use a large muffin tin to cook stuffed peppers in the oven - it will help keep them upright. Place your cut and stuffed bell pepper inside each muffin space, place in oven and remove with large spoon when done. Add half a teaspoon of baking soda to the water when hard-boiling eggs to make the shells incredibly easy to peel off; when they've cooled, put them in a covered bowl or pot and shake briskly a few times to crack them all over. Then slip the peel off. When pasta is done to your liking, drain, add back to the hot pot, and immediately add a half cup of the sauce you intend to serve the pasta with to the pot. Toss thoroughly; the hot pasta will absorb the sauce and keep the pasta from clumping. What volume is "one onion"? Let a few branches on your rosemary bush, tarragon, and oregano plants grow out; they'll become sturdy enough to be used as flavorful skewers for chicken, lamb, and tender beef. Citrus or Vinegar In Your Summer Salad? One method is to cook your fish on a bed of thin sliced fresh lemons. Your fish will absord some of the lemon flavor and come off in one piece. What is the difference between soup stock and broth? How accurate is your thermometer? How Much Propane Do You Have? To prevent ice crystals forming on your frozen ice cream place a piece of wax paper or plastic wrap directly on the surface of the ice cream inside the container. Press it firmly onto the ice cream surface so that it forms a tight seal. Cover with the lid and return to the freezer. When cooking ground beef or sausage, throw away the old wooden spoon technique and use a potato masher instead. Spray both sides of your cheese grater with non-stick cooking spray before grating cheese. The cheese won't stick, making cleanup much easier. To hollow out mushrooms for stuffing use a melon baller. First remove the stem, then scrape out the gills and a little from the inside of the cap (mix this with the stuffing). The melon baller leaves a nice shape and lots of space for stuffing. Homemade Baking Powder: purchased baking powder has chemical additives and will sometimes leave an aftertaste. Make your own: mix 1/4 cup cream of tartar with 2 tablespoons baking soda. No more aftertaste or chemicals. A compound called allicin is what gives garlic its flavor. Allicin is released when garlic is crushed or sliced; keep this in mind whne you are prepping ingredients. Prep the garlic first for a stronger flaver, last for a milder flavor. Or meatloaf, or homemade sausage, or meatballs... season your ground meat as directed (or desired) but before shaping and cooking the whole lot, heat your smallest frying pan, pinch off a bit of the mixture and cook it. Taste and adjust seasonings, if necessary. No more bland burgers. What are boudin and cracklins? When you need just a little onion, bell pepper, celery, or veggies for stir-fry, swing by the salad bar and select exactly what you need. It's washed, prepped, and ready to go, with no waste. Did you know that a standard Mason jar fits the base of most blenders? Make personal-sized smoothies and milk shakes in pint-sized jars, quarts of salad dressings in jars that can be stored in the refrigerator, etc. Saves washing the blender bowl. 1. Dampen a clean kitchen sponge and use it as a spoon rest; it'll keep the goop off your stove top, clean up any messes, and it goes into duty at the sink after you're done cooking. 2. Use a piece of stale bread as a spoon rest; when you're done cooking, feed it to the dog! Try sprinkling a bit of black pepper on sliced melons, strawberries, peaches, etc. You'll be amazed at what it adds to the flavor profile. Scoop out and reserve about a half cup of water before draining pasta; it's full of starch. Toss the pasta with the sauce, then add the pasta water in increments until desired texture is achieved. It will add a surprising amount of texture and creaminess to the finished dish. You know how hard ice cream can get after it's been in a home freezer for a while? To avoid that, place the container in a large zip-top bag, squeeze as much air out of the bag as possible, and freeze in the bag. No more rock-hard ice cream! Leftover rice makes great rice cakes. Mix the rice with beaten egg, add salt and pepper to taste and fry the rice cakes in a little butter. Plastic wrap is a real pain to use, doesn't seal well and sticks best just to itself, usually a mess. It will seal better and not get all tangled up if you keep it in your refrigerator. Grab your bundt or tube pan; shuck an ear of corn and place the pointy end in the opening in the bundt or tube pan. Slice kernels from the cob; they'll fall into the pan for easy collection. Really! Unless you truly hate the taste of a particular vegetable's skin, don't peel it. The skin has a lot of fiber, and contains most of the nutrients. Plus, think of the time you'll save! When searing meat of any sort, it's important to pat the meat dry before placing it in the hot pan. If it goes in wet, it will steam instead of sear, and you'll not be able to achieve that beautiful — and tasty — rich brown crust. Egg Slicer- Most Under-appreciated Gadget? Did you know cooking spray can help with this? Turn the dish upside down, and tear foil to size. Mold the foil over the outside of the dish; carefully remove it, flip the dish over, and drop the molded foil inside it. Crimp the edges as desired. Voilá! Perfectly fitted, no torn corners. Wash the pot in a solution of 3 tablespoons of baking soda mixed with 1 quart of water. To clean the machine itself run this solution through the coffeee making cycle. This will remove stains from the pot itelf and eliminate the old coffee oils from the machine. Substitute high-protein bread flour for all-purpose flour, and thoroughly chill the dough before baking. To make a richer vegetable stock, roast the vegetables in a hot oven until browned before using them to start the stock. They'll caramelize, resulting in a deeper, richer flavored stock. Transfer it to a lidded container and cover the surface of the guacamole with a thin layer of water. To serve, pour the water off. How old is that mushroom? If you're planning to use sliced raw onion in a salad and discover it's just too pungeant after slicing into it, soak the slices in ice water for about 20 minutes. The water will leach the "bite" out of the onion, and as a bonus, it'll be crispier. Getting the last bit of whatever you've blended off the food processor blade can be tricky; remove as much as you can from the bowl, put the lid back on, and pulse a few times. It'll sling leftover bits off the blade and onto the sides of the bowl. Take the bite out of raw onion. Slice or chop onion and soak in ice water for 20 minutes before serving; the ice water will smooth out the bite, and crisp it up. Did you know this about cashews? Cashews are never sold unshelled because the oil in and around the shell will irritate skin and cause blisters. That's because the cashew is in the same family as poison ivy! The gills underneath a mushroom cap open as the mushroom ages, and older mushrooms are have a richer, fuller flavor than younger mushrooms. So if you're going for mild mushroom flavor, look for tight, closed gills; if you're looking for big, rich mushroom flavor, look for those that are open. A very thin coat of mayonnaise will keep even the most delicate piece of fish from sticking to your grill--assuming your grill is very clean, of course--and if you make your own mayonnaise, boost flavor by adding lemon and garlic to the mayo. 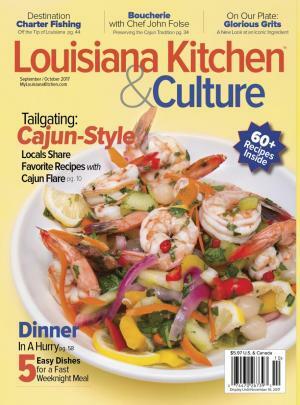 Click to view and search 1600+ Cajun, Creole, Louisiana & traditional American recipes. Louisiana Events, Fairs, Festivals, Cookoffs & more.. The Emeril Lagasse Foundation’s signature outdoor food and music festival, Boudin, Bourbon & Beer, kicks-off on Friday, Nov. 9 at Champions Square in New Orleans. One of the South’s top food and music festivals, the eighth annual event will showcase award-winning chefs preparing their own creative styles of boudin sausage. 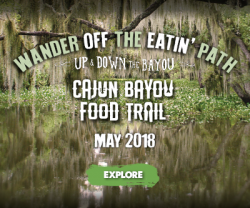 Chef Emeril Lagasse, along with co-chairs Donald Link, Stephen Stryjewski and Guy Fieri lead this culinary extravaganza that puts Louisiana’s favorite artisanal sausage in the spotlight. It’s the most wonderful time of the year! No Andy Williams, not Christmas, the New Orleans Jazz & Heritage Festival, the unchallenged greatest music and culture event on the planet. This is my first day out this year and there is no shortage of talent to keep me entertained. I’m easing into the day with the talented trio of Tin Men in the safe confines of the Blues Tent. Things pick up quickly in that 12:15ish to 1:15ish slot with Trumpet Mafia, Roddie Romero & the Hub City All-Stars, Vishtèn from the Canadian Acadienne, the Hot 8 Brass Band, and La Banda Blanca from Honduras. Help for Harvey Victims: At this point in time, what is most needed is money donated to an organization or charity you trust, and donations to food banks. There is no place to store physical donations such as clothing, toys, bedding, etc. so unless you are local and have direct access to local shelters that are asking for very specific items, donate cash. I am told there is also a need for blood, so get to a local blood bank if you can. If you're not sure what organization to trust, start with Charity Navigator. BILL & AIMEE GO TO JAMAICA – 10TH ANNIVERSARY SPECIAL! Join Aimee as she shares our Caribbean adventure as only she can while we return to Jamaica to celebrate our 10th wedding anniversary. This will be our fourth visit to one of the Couples Resorts and, I admit, after our first trip to an all-inclusive for our honeymoon, it has been difficult to vacation any other way. It reminds me of the color TV versus black & white story. Some of you may be old enough to remember having a neat black & white television, with no remote control, and thinking it was the greatest thing since sliced bread – I am going to assume you have all been around since sliced bread. After that first time seeing a color TV, the love affair was over. All-inclusive resorts are just that. Food and beverage and room service an all those things are pre-paid for. It may cost a little more money, but I am sure no resorts are making a big profit when I am visiting the bar for a week. Follow the the video links at the end of each episode! Join Aimee and I as we a once in a lifetime trip to Oktoberfest 2016 into a multi-city European adventure. Follow the YouTube links for each episode as Aimee shares our journey as only she can. Did you know that when traveling to Europe the expiration date on your passport is not always the expiration date? We did not; but when we got to the airport on the morning of our flight we were informed that our return to the states needed to occur 6 months prior to the actual expiration date – which for us was only one month away! On our first day in Prague, we found a cool bar, off the beaten track and right on the river. As you can see, it looks like someone dropped the trailer off an 18-wheeler, put some chairs on top and hooked up a few kegs. Good idea! Live Nation has announced the next installment of Food Truck Friday,on June 23, 2017 at Champions Square in New Orleans, LA from 11am to 2pm. Food Truck Friday will again feature an increased amount of trucks from the previous event, additional beverage offerings, live entertainment, promotional ticket giveaways to upcoming Live Nation concerts, and access to indoor seating within Opening Act. The complete listing of food trucks attending the upcoming event is: Queen on Wheels, Rollin’ Fatties, The Red Stove, Afrodisiac, Taylor Made Wings, Diva Dawg, Thai Djing, Ms. Beasley, Burgers Ya Heard , Frencheeze, Joe’s on the Go, Cocoa & Cream, Petite Rouge, and Plum Street Sno-balls! This is a Booze Classic Column dating back to September/October of 2016. With the world’s greatest cocktail symposium taking place in New Orleans in just a couple months, it seemed like a good time to pour ourselves another glass of a story inspired by Tales of the Cocktail!